I had to fly last minute from London to Glasgow. 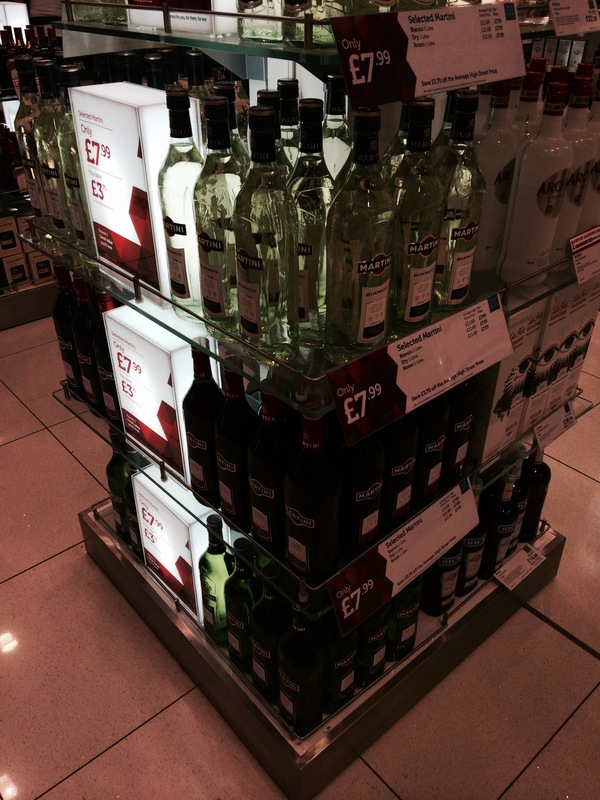 I was in Gatwick South terminal on a Saturday night. 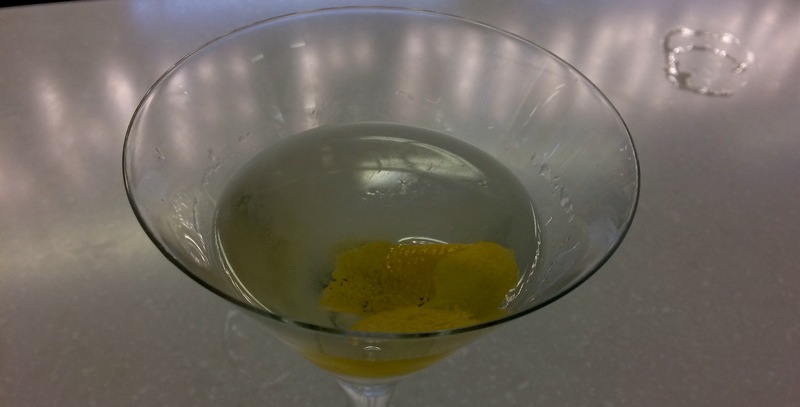 I had come through security but I hadn’t had dinner or a much needed martini. So off I went in search of something to quench my thirst. 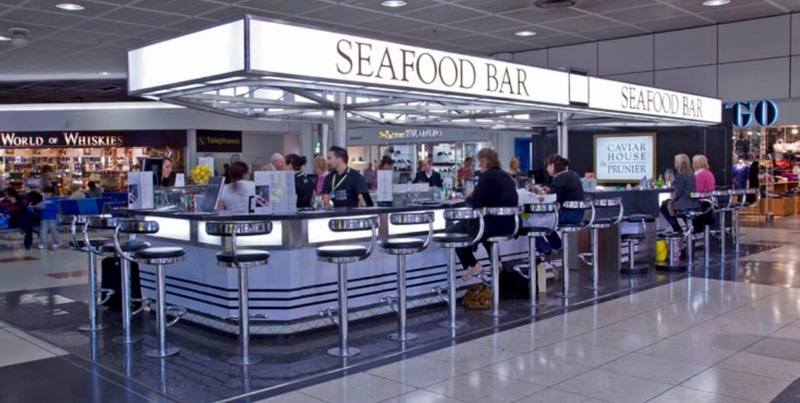 The expensive caviar bar downstairs in the south terminal sadly doesn’t do martinis, although it has some exquisite vodkas and accompanying nibbles. Instead, I wandered upstairs and came across what looked to be my oasis in the desert: The London Bar. 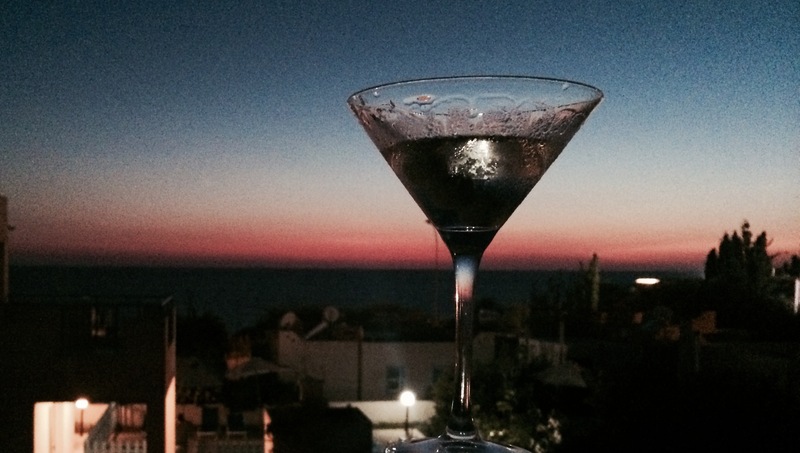 Martinis were on the menu for £10, with the seeming ability to choose which gin or vodka you would like it made from. I was quickly served by a friendly member of staff who asked if I wanted gin or vodka, but this seemed to be the extent of my choice. 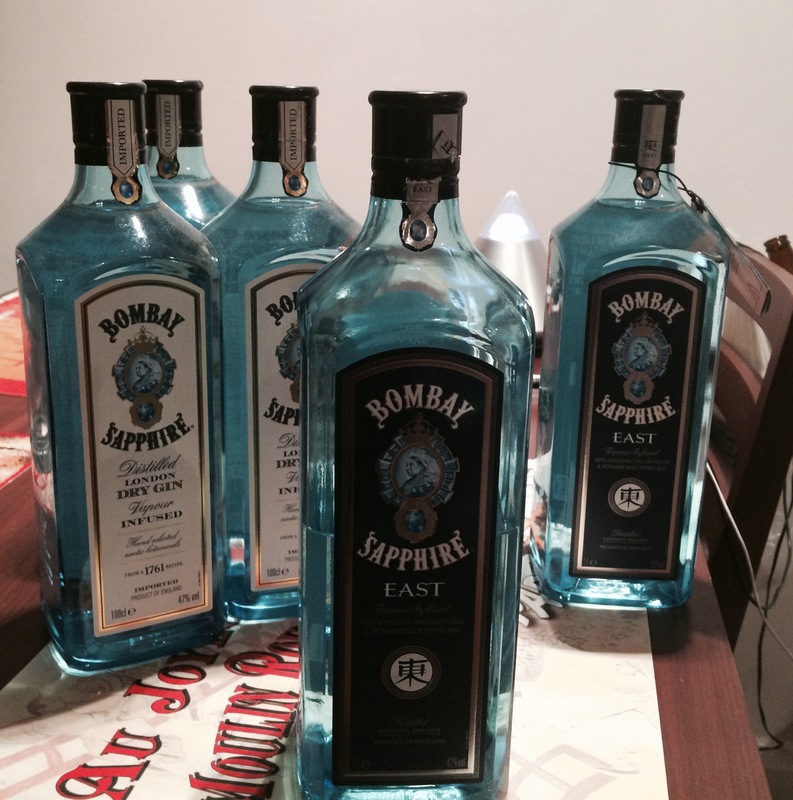 I was served Bombay Saphire without being asked if I would prefer an alternative. I was disappointed, given that they had an impressive selection including Martin Miller’s, the Botanist and Jensens gin, although Bombay is a suitable choice. Nonetheless, my server earned back points by using Noilly Prat as the vermouth and the drink was stirred, not shaken, which is to my preference, although a choice should be offered to the customer. 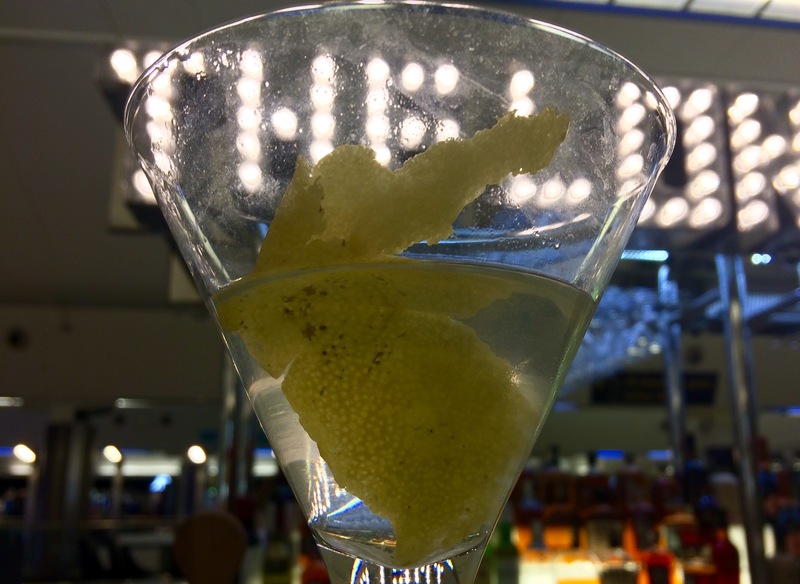 They offered me an olive in the martini as a garnish or lemon peel if I preferred which was another point earner. I chose lemon as per usual. Anyone can drop an olive in a glass but in handling a lemon a server reveals their skill and consideration. My server also peeled an exceptionally generous ribbon of lemon peel and wrapped it around a straw over the glass to impart a significant amount of lemon oil into the drink. 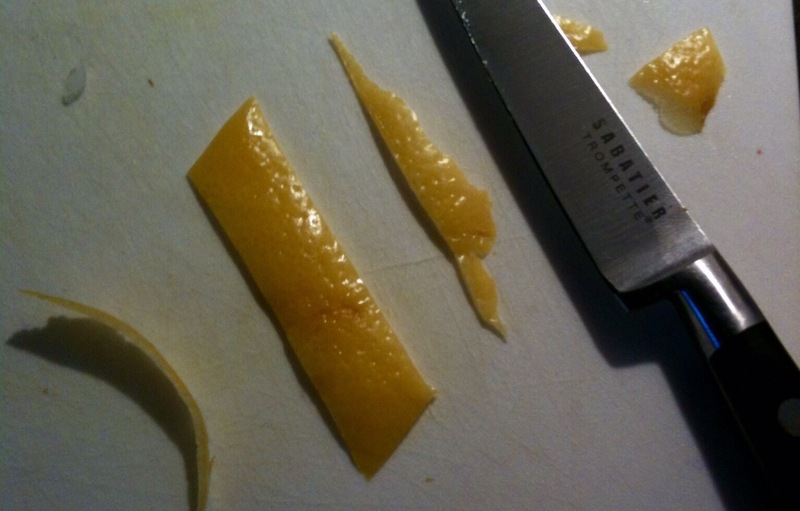 Again, this is to my preference as I like my lemon oil, although it is customary to use a smaller length of peel. 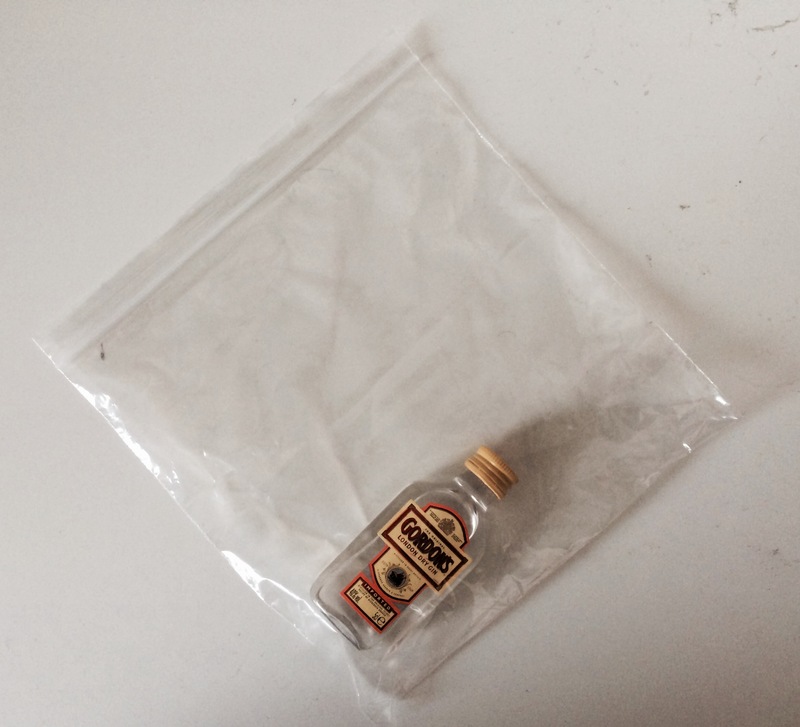 Some drinkers prefer only a finger-nail-sized piece to flavour the drink. Furthermore, the garnish was so large that towards the end of the drink it kept falling from the glass onto my face like an unwarranted kiss from an unwanted lover. Personally, even though I am a lemon fan, I would usually cut and shape the garnish after squeezing its oil into the glass. This means that it looks nicer and you don’t have to wrestle the garnish with your face every time you drink. The size of the glass is also worth pointing out. 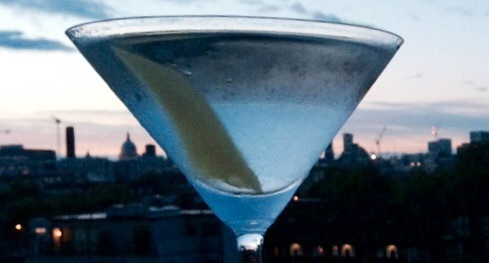 It is the correct size for a larger cocktail with several ingredients, but for a dry martini it was very disproportionate. The setting was relatively cool, but as an airport lounge it’s always going to have a natural air of excitement. I liked the lighting around the bottles. It was what caught my eye in the first place. I found the seats slightly uncomfortable after 20 minutes, but luckily “the martini had landed” by this point. Otherwise, some of the seats had plug sockets to charge your devices, which was handy. The only other thing I would recommend for a good martini would be to at least have the house gin and glasses kept in the freezer. Of course, space is at a premium in a small bar but I would pay premium for a good martini. 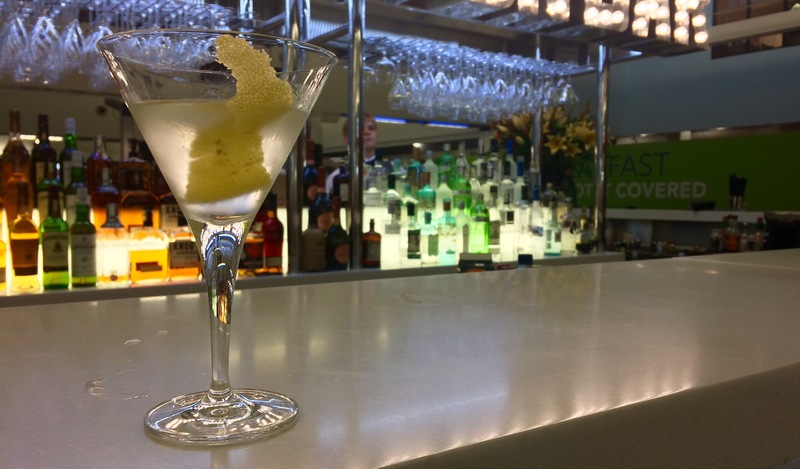 Otherwise, at £10 per drink I would say that it’s not the best martini you’re ever going to have, but it’s good value for your money in an airport lounge. If you go, specify which gin or vodka you would like in advance. And don’t miss your flight. 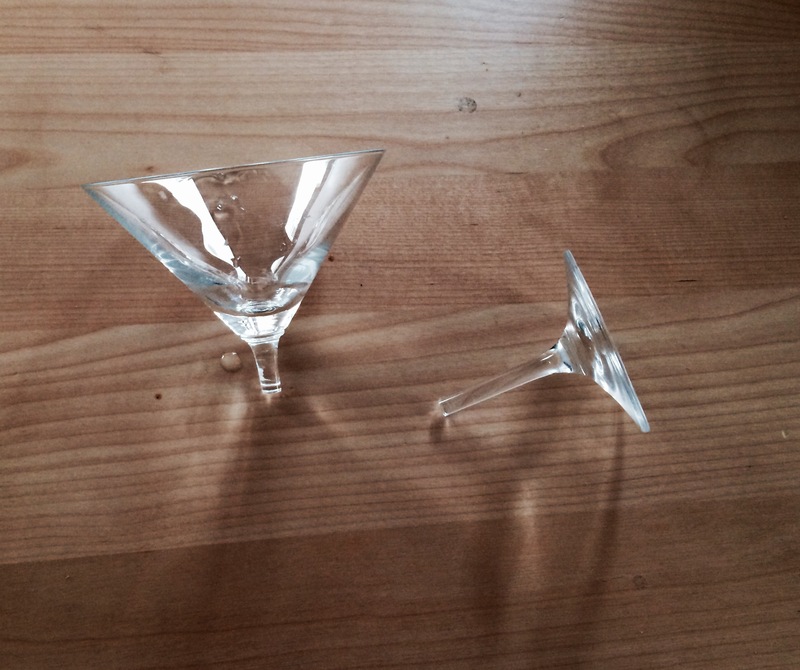 Martinis are an international drink, but transporting martini glasses in your hold luggage on an international flight can be difficult. 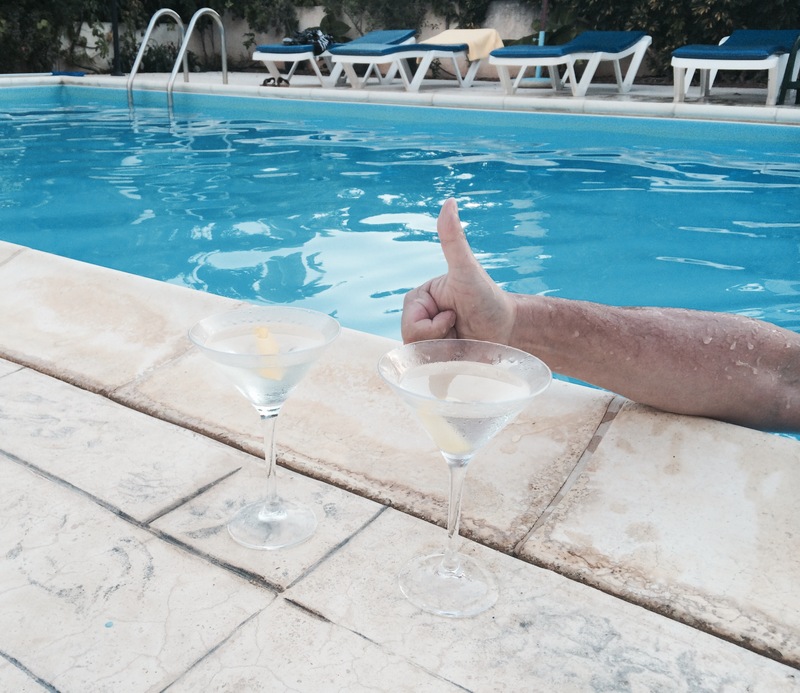 Nonetheless, I will not go without a martini or two on my holidays so I had to work out a plan. 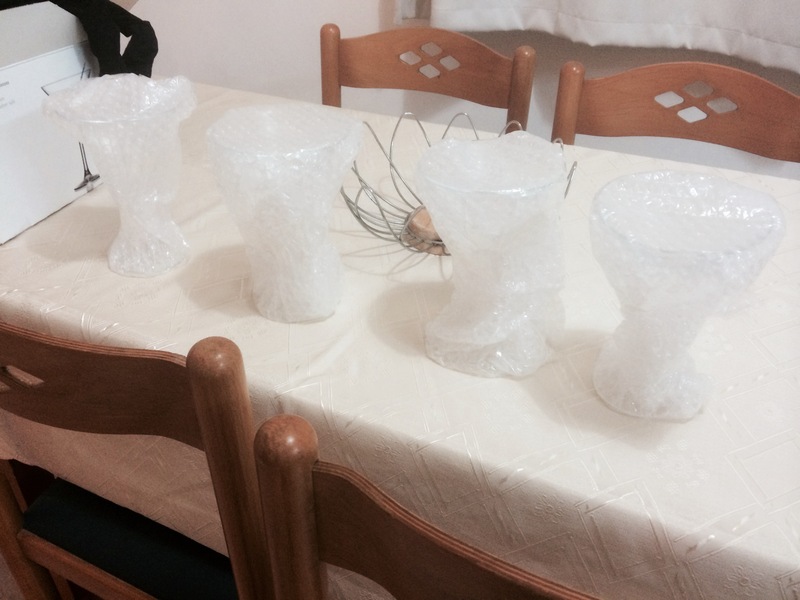 Wrap each glass in bubble wrap. If possible, keep the original box that you bought the glasses in. Place the wrapped glasses in the box. Surround them in the box with soft things (clean socks for example). Pack the box tightly and seal with Sellotape. Pack in the middle of your luggage surrounded by firm, solid items. 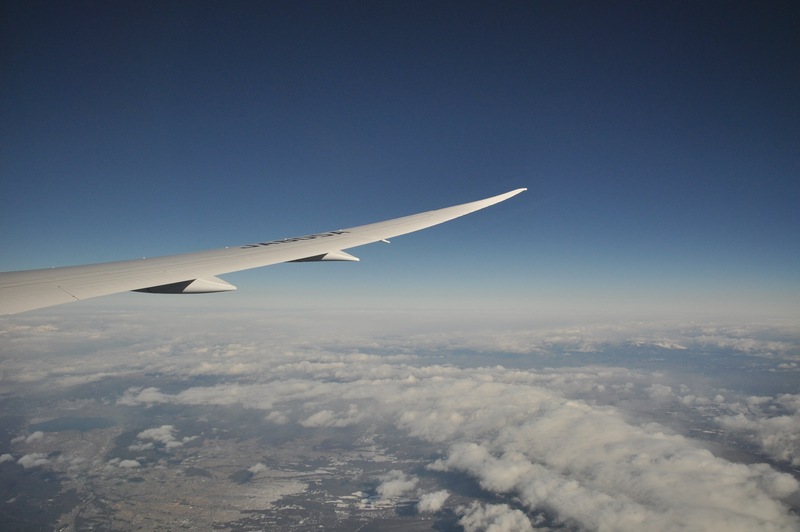 Then prepare for your flight. 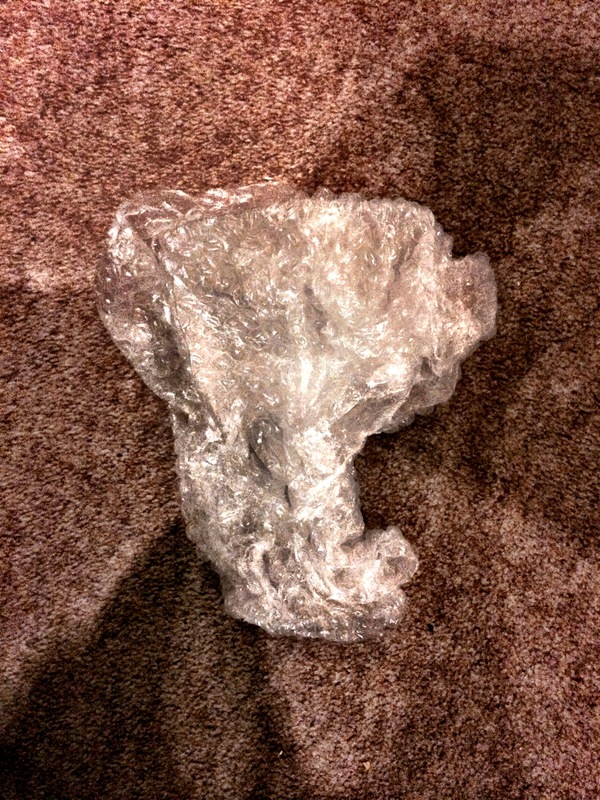 My friend kindly gave me a bottle of gin (under 100ml) and a plastic see-through bag to take through airport security. 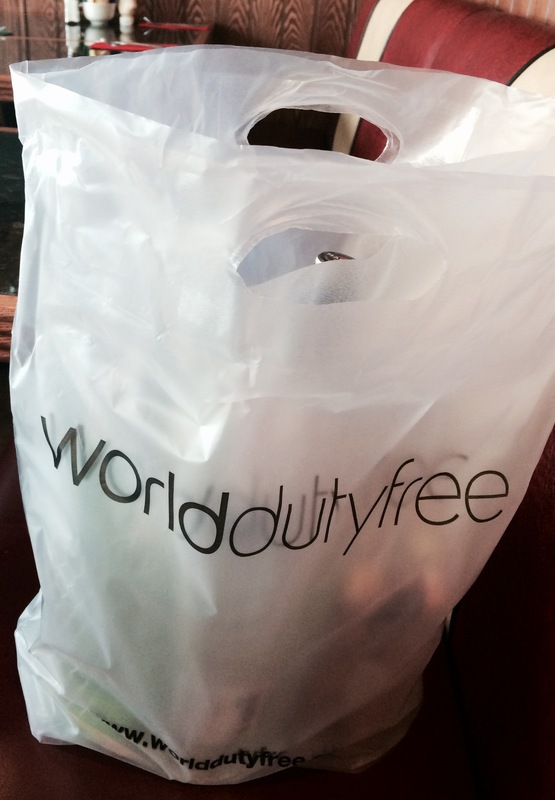 Stock up on holiday supplies in duty free. No prizes for guessing what I go for. 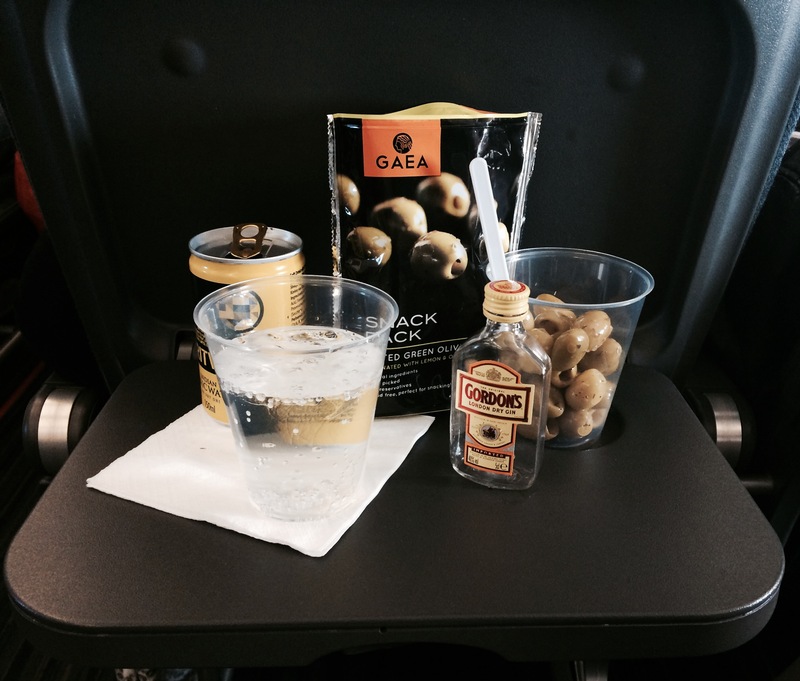 Enjoy your flight (I ordered a gin and tonic with olives and topped up the gin with the extra bottle my friend gave me – it’s definitely a good choice if you’re a bad flier). 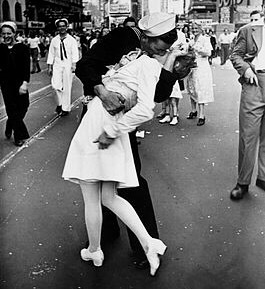 When you arrive, hopefully this won’t have happened.